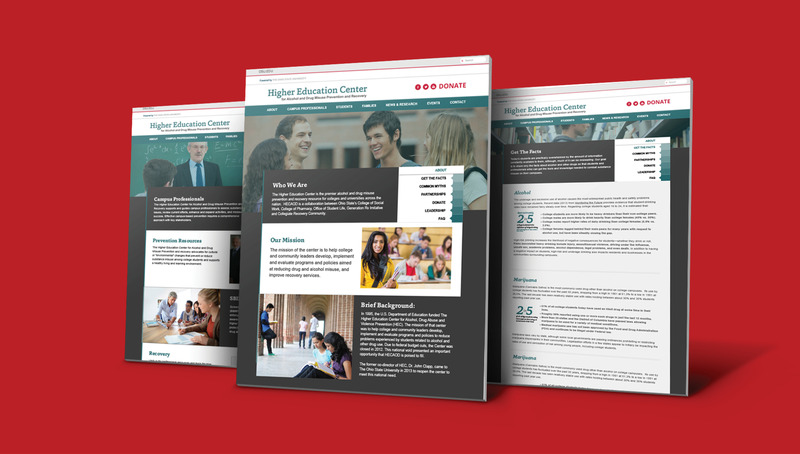 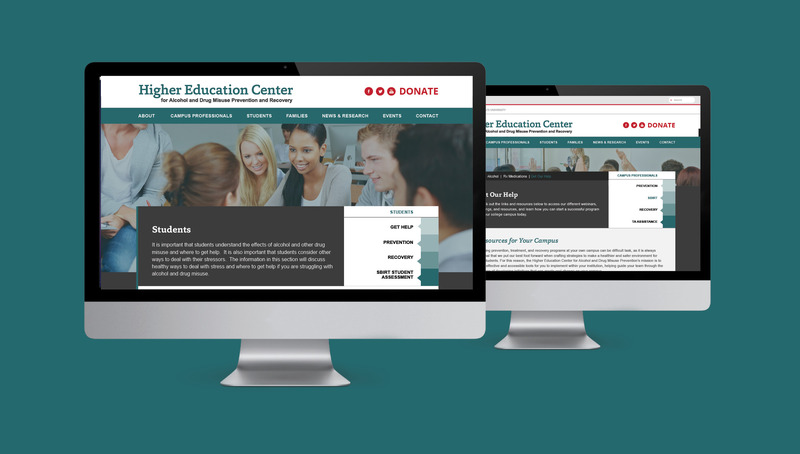 In collaboration with The Ohio State University, Origo Branding helped create the new responsive website for the Higher Education Center for Alcohol and Drug Misuse Prevention and Recovery. 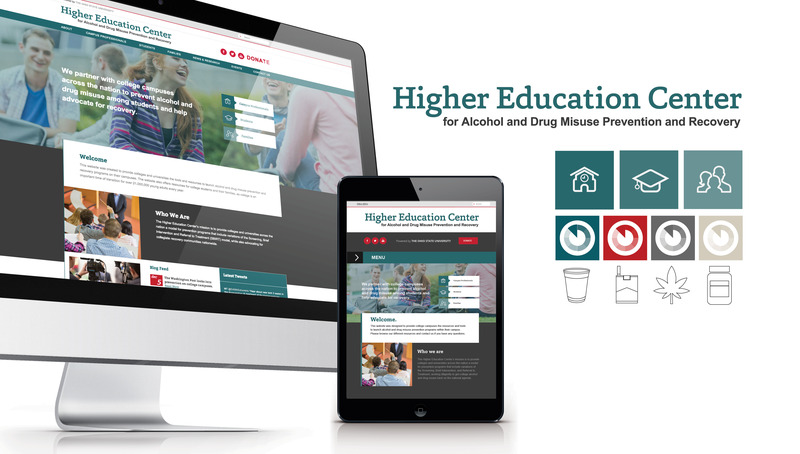 In this new online strategy, the website connects college administrators, students, and families with the resources and education needed to help advocate alcohol/drug misuse prevention on college campuses across the nation. 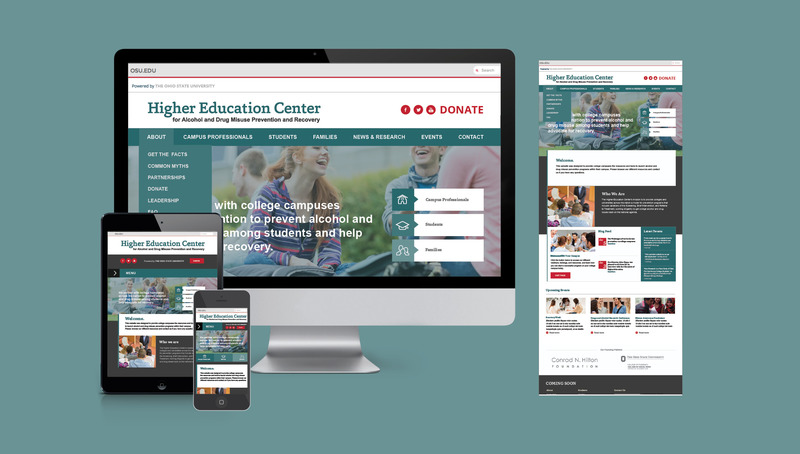 The site was equipped and developed with Wordpress, a Content Management System that allows the Center’s staff to easily manage content on the site, encouraging frequent updates on the site to help position the brand as a leader within its field of alcohol and drug misuse prevention.